Wow...it's been like...forever since i've made something... :sweat: ....Now i have 3 vectors on a roll waiting...and i don't know witch one to finish first! ^_^'.Well,when it comes to finishing,this one was put in between,meaning,when i saw the scan of Kaname here...with little inspiration from before...i just had to do it! XD. tyayyyy! kaname-senpai!is nice vector! i am soo happy! the blue rosse is super dEtail! 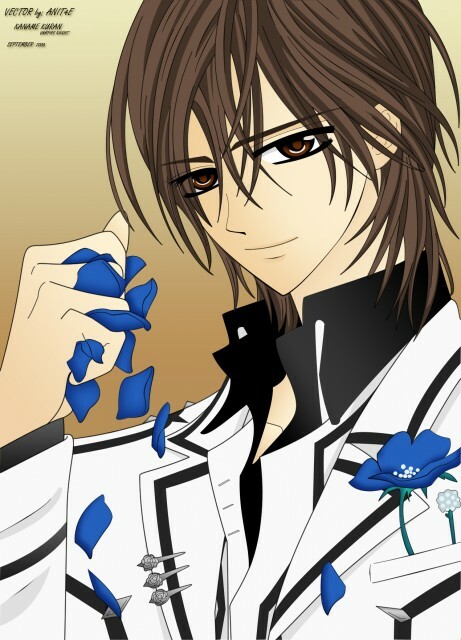 !adorables!i loves the face of kaname! Evil hair.... haha I agree with that......Well nice vector! omg! he is so beautiful... thanks!